•	Citywide Supply and Service offers a heating and cooling maintenance and repair service for commercial, corporate, industrial, private, and state buildings. •	Citywide is located in Chicago, and we service all properties in the entire Chicago area. •	Our in-house staff of certified HVAC specialists ensures your work can be carried out by someone who know and appreciate the considerations regarding your building, systems and tenants. When our HVAC onsite survey is done we change the pulley belts and always leave one extra belt with the equipment. It’s our policy and at less than $3.00 each ...we say "why wouldn't we?" Cleaning condenser and evaporators are done very differently. If the wrong chemicals are use than pitting can occur on the evaporator and the water will not run off at the designed rate which changes the heat transfer of the coil. Know what to use and how to use it is something that is frequently overlooked by contractors and the mistakes can be costly! Check for dirty condenser coils. 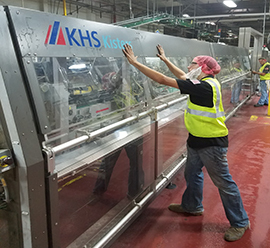 We implement a flow rate hood to insure that our coils are as clean as the day they came out of the factory. Do not settle for second best. We implement the latest technology that the industry has to offer. Clear drain lines and pans and add anti-microbial tablets to the drain pan. This insures that anything alive in that evaporator will not survive. When we check for tightness or compromised electrical connectors we find that in more than 40% of the units we check need attention whether its new electrical stake ons or simply tightening with a screw driver. Our blower inspections. Since most blower motors are self-lubricated (another way of saying that you cannot oil them) we are more focused on attention to detain. We look for excessive vibration which can be caused by dirt unbalancing the blower wheel. 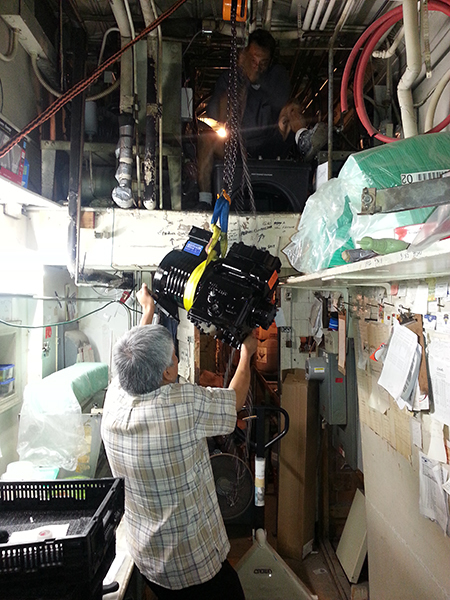 We look for fatigued motor mounts which can create major damage if failure occurs. We check amp draws to insure optimum performance and last but very important we check the static drive against the factory blower curve chart. If the motor is doing more work than it it designed to do that may explain why the motor is being changed once a year? Hmmm? Checking things like the thermostat location can be something that can cause HVAC. If it is located in an air flow current it will act erratic. If the anticipator are not set properly then can and do fail prematurely. Improper use is a common problem. We like to engage our customers in the proper operation of the thermostat. Some of today’s thermostats can be very complex with many parameters. Take the Tekmar 279 or the 263 (2 stage) these controls have many parameters and we can work with you to help you understand each one and how to select the right choices. Does the unit have enough air flow? Too much air flow? We incorporate Science when determine air flows. (not the wet finger method) We perform Delta T's, FPM flow rates and all our data is checked against factory blower performance charts. All our Filters are of the highest performance rated at MERV 7 which are the most affordable filters on the market today. Filters come in many shapes, functions and sizes. We can customize to your filtering needs. Ignition systems and burner efficiency and fire rate are all performed with calibrated combustion analyzers and balanced. We have vast knowledge with Robertshaw, Honeywell, Fire eye, and many of today’s complex burners that are on Power Flame burners, in shot burners and ribbon burners. Getting manifold pressures, CO levels and O2 levels for the combustion analyzation are critical to insure maximum efficiency and longevity. Heat exchanger inspection is a 2 fold inspection. Both visual and with a Maglahelic gauge to insure one of the most dangerous conditions that occurs in faulty heating equipment. Be safe and insure you equipment is not compromised! Get it done by the pros. As a building owner or property manager, you know that an HVAC equipment failure can result in significant backlash from the people who rely on you to maintain a comfortable environment. With your reputation and bottom line at stake, it’s wise to monitor these systems closely for maintenance and repair needs. Citywide is here to help you avoid costly repairs and shut-downs by staying on top of your equipment’s most critical components. Don’t have a maintenance agreement? Remember that while much of this troubleshooting can be done on your own, ultimately repairs and maintenance should only be done by your HVAC vendor such as, Citywide Heating and Cooling, as most manufacturer warranties won’t cover equipment that serviced by anyone other than a licensed HVAC technician.We work closely with property and operations managers to ensure timely and efficient completion of work. We offer free estimates, are competitively priced to ensure your work is completed on time and on budget.